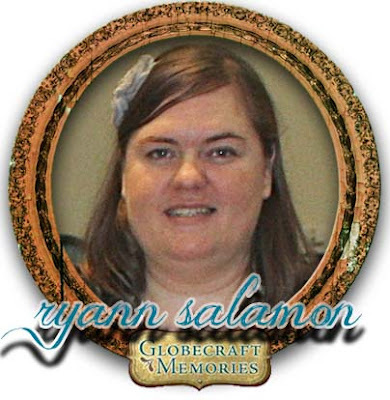 We're so excited to welcome Ryann Salamon to the Globecraft Memories Design Team!!!! Hello! My name is Ryann (pronounced like Ryan) and I live in sunny San Diego, California with my husband of five years and 2 cats, Parker and Posey. I started papercrafting over four years ago and just recently started teaching classes. I've been on a few design teams over the years and am regularly published in papercrafting magazines. Creative Outlook: I am primarily a Clean and Simple (CAS) card maker but will play around with other types of projects from time to time. I find myself drawn to simple patterns, bright colors and I love "white space". When creating I make a point not to fill the entire canvas with product and try to achieve maximum effect with minimal product. We are excited to see what she creates and shares here on the GCM blog in the coming year! 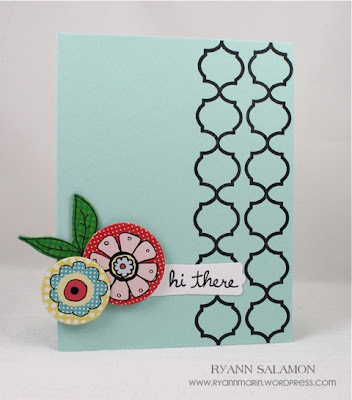 Ryann, I am a huge fan of clean and simple. Glad to see you here with Globe Craft.